Home » Berserk » Berserk Game » E3 2016 » Kentaro Miura » KOEI/Tecmo » Berserk: The Time For A New Game Is Now - New Trailer, Potential Release Date, Console Exclusive! Berserk: The Time For A New Game Is Now - New Trailer, Potential Release Date, Console Exclusive! 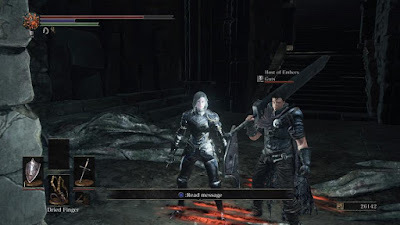 With the Souls series (Dark Souls, Demon's Souls and even Bloodborne to some degree) taking a lot of inspiration from Kentaro Miura's Dark Fantasy masterpiece, Capcom including the full armour and weapon set for Guts and Griffith in Dragon's Dogma (yea, I was surprised to learn of this also) and a new Animé coming out on the 1st July in Japan, it's clear there are a lot of Berserk fans still out there. Although Kentaro Miura is seen as lazy by some, I have a lot of respect for him. The level of detail he puts into each chapter, the character development and the fact he's been able to keep the Manga running since 1989 is both insane and an incredible achievement. Not only that, Berserk is currently going through a huge revival process, with Miura himself overseeing the upcoming Animé! The original Berserk Manga has been running since 1989 (I was 2), the original Animé aired in 1997 and then between 2012-2013, we had three new movies - Egg of the King and The Battle for Doldrey in 2012, The Advent in 2013. To make three movies 16 years after the original Animé could be seen as madness, but at the same time, there's usually method behind madness and this is what I'll be elaborating on a little further down the line. In my opinion, Berserk has the most unexpected and shocking turn of events in Animé history. It's incredibly dark, gritty, tragic and thought provoking. The story-telling is phenomenal and it's not hard to see why it's loved as much as it is. Each individual character has something to offer. They all have a personality, each with their own feelings and desires. It's the soundtrack and how everything all plays out which makes Berserk so perfect to me, though. For me, the movies were very disappointing because although they looked nice, there was something wrong/off with the animations frame rate and all three films seemingly lacked any kind of atmosphere. I didn't find myself immersed in the story like I did in the Animé. There was no real development of feelings between characters, there was nothing to relate to and the story was presented as a series of different, individual events, rather than a constantly ongoing plot. On the up side, the ending did go beyond the original Animé run by around 15 minutes or so, though that didn't justify a soulless triple movie remake of the Golden Age Arc already covered within the original Animé run. It's too generalistic to say everybody hated it, but for most fans, this was a wasted opportunity. I'm quite thankful, because I only just discovered Berserk at the start of this year. I didn't have to wait years for further chapters to release because everything was there, waiting for me to read and watch as soon as I'd finished the original Animé. Code Geass used to be my all-time favourite Animé. 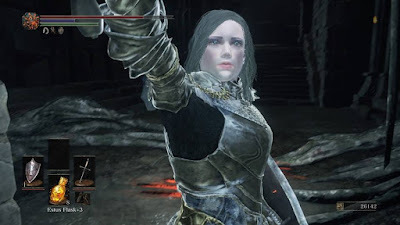 I truly felt that nothing could beat it until I discovered Berserk, which hacked it straight down to second place, claiming the throne for itself. I've watched and read everything official to Berserk. I'm up to date with the Manga. I regularly re-watch episodes of the Animé, I have my own theories on how the Behelit works, who Skull Knight really is, what relation Guts has to him, whether Griffith is really Griffith anymore. All sorts. I've even got a Dark Souls 3 Griffith character I regularly play online with my friend who controls his own Guts creation. The hair and armour isn't exact, but you can get pretty close to them in looks if you try hard enough. Note: This guide is all dependent on viewing the Films, Animé and Manga on KissAnime and KissManga. Different sites have different upload methods, changing the timing and chapter numbers. Start by watching episode 1 of the original Animé, all the way up until chapter 19. Episode 1 is optional as it actually takes place after the Golden Age Arc, but I left it here because it sets the scene for Berserk well. From Episode 19 jump to chapter 37 of the Manga only, before jumping back to episode 20 of the Animé. Continue watching up until the 17:51 mark of episode 22 and then immediately switch to chapter 54, page 20 of the Manga, all the way up until the end of chapter 69 (the Princess is here because she actually smuggled Guts into the tower to make the rescue, which is not covered in the Animé). Now, go back to episode 23 at the 4:16 mark and watch to Episode 25 (the final episode). At 18:20 you should immediately switch to the third movie at 1:22:48, stopping at 1:30:00 before moving on to chapter 88 of the Manga, viewing pages 17-26. From here, jump back to film/movie 3 at 1:30:00 (exactly where you paused it from before) and watch up to 1:40:45 mark, before moving onto chapter 92 of the Manga and continuing up to the end of Chapter 94. From here, jump back to Chapter 000a all the way up to Chapter 000h and then finally switch back to Chapter 95 of the Manga once more, reading from here onwards. It may seem like a bit of work, but trust me on the guide above. If someone told me this to begin with, my experience would likely be untouchable by anything else. 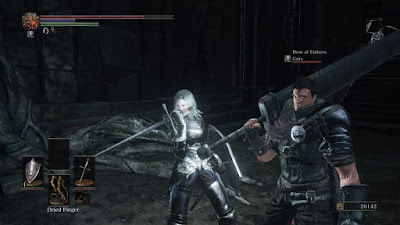 Now though, I'm going to go into a little more detail as to why I believe we'll be getting a new Berserk game soon. Berserk actually had two games released many years ago. One was for the Dreamcast (Sword of the Berserk - Gut's Rage) and the other, released in Japan only was for the PS2. This covered the Millennium Falcon Arc, which is more or less where the Manga is currently at. You can find footage of both titles on YouTube. Since then, there has also been an Android/ios game titled "Berserk: Raging Waves of Mercenaries", though little is known about this and all I can provide is this link here. Over Twitter last July, Platinum Games' Kenji Saito (the guy responsible for the recent Transformers; Devastation title and the Director of Metal Gear Rising) has said that he'd like to make a Kill la Kill or Berserk title. Additionally, as I mentioned earlier, Berserk is going through a pretty big revival project right now. Universal have bought the rights to it. The next chapter of the Manga will release June 24th (11 days from this article) and go back to being released on a monthly basis. The latest volume (Vol.38) of the printed Manga will be released worldwide around this time also, with the new Animé airing in Japan from the 1st July on WOWOW, scheduled to have 24 episodes, covering both the Black Swordsman and Conviction Arcs, which both take place immediately after the end of the previously released Golden Age Arc. Kenji Saito's original Tweet last year. More importantly however, KOEI/Tecmo (the company behind the recent Arslan Senki title, Dynasty Warriors and Attack on Titan: Wings of Freedom) have a mysterious website up in place, promising for the most brutal Musou game yet. For a while now there's also been talk that they've been working on a title for both Japanese and Western fans alike. Although I'd much prefer a Berserk title to be more akin to Devil May Cry with a blend of combat and QTE's from God of War, if this is what KOEI/Tecmo have planned with a new Warriors game, I just hope it's not like your typical button mashing version of Dynasty Warriors. It needs the atmosphere, deep combat and gritty visuals. Still, they did a good job in keeping true to the visual style of Arslan Senki and Attack on Titan. This could be their chance to shine! 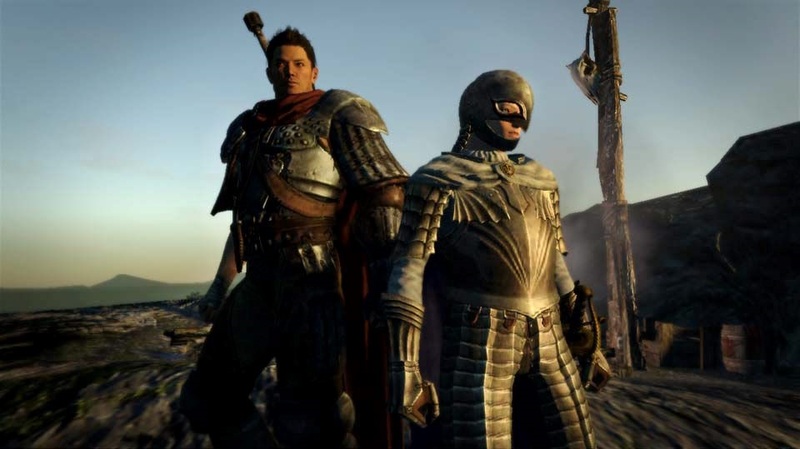 The Armour and Weapon set in Dragons Dogma. If I were to choose a developer to be in charge of Berserk I'd personally want Platinum Games behind it, though Capcom are just as capable. We'll see what happens, but with only a couple of hours left until KOEI/Tecmo and Omega Forces reveal, we'll soon discover what their next project is. The colour scheme is the same as Berserks "Brand of Sacrifice" logo and although that might just be coincidence, you can view the website here. 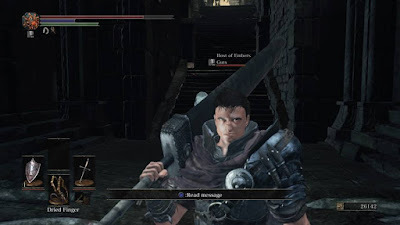 With Berserk now making a pretty big comeback, I feel now is the time to release a new game. The hype is here. The fans are present. 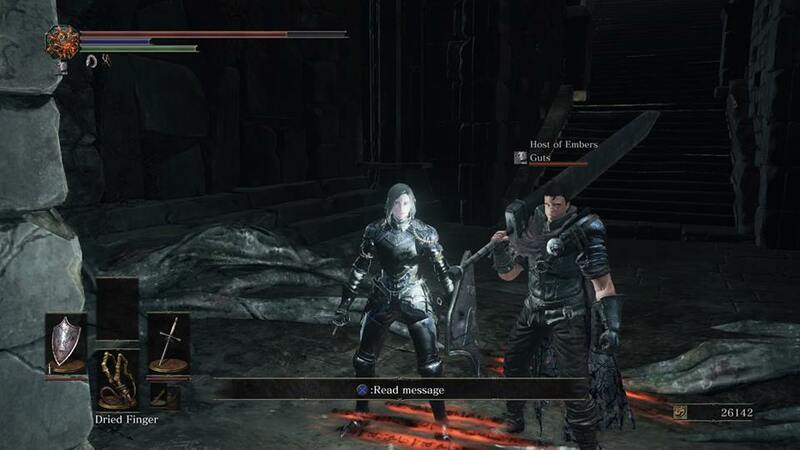 All we need now is a good game with the original English voice cast returning. Hopefully the same can be said for the Animé as it's one of those rare occasions where the Dub is better than watching the series Subbed, but perhaps now Kentaro Miura will finally get the love and praise he's deserved for so long. 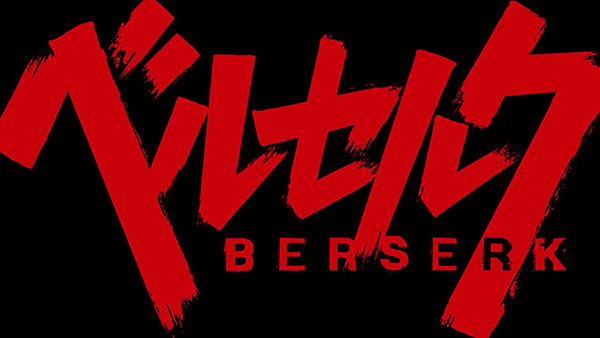 Berserk's official game Twitter page can be found here. In the West (that's us), Berserk will be releasing on PS4, PS Vita and Steam. In the East (Japan etc), Berserk will be releasing on PS4, PS3 and PS Vita. No news on other formats at this time, so it's looking to be Sony exclusive with the exception of Steam.